Styled with jermaine pant and larry t-shirt . Knit with a soft blend that contains wool and linen, the Erin is perfect when it's warm out, and light enough to layer when it cools off. Love the color (camel) and fit. Longer back looks great with leggings or a skinny pant. The material of the sweater didn’t seem to be the best quality, it smelt and felt cheap which is very unusual for Aritzia, I don’t recommend it. I had exact the same sweater two years ago, and now I purchased it again. Why I bought it again? I fell in love with this sweater when I got first but, the previous one got shrunk once I dry cleaned it so it won’t fit me anymore. This time I bought 2 size up so I can still wear it although it gets shrunk. I haven’t dry cleaned or washed it yet but we’ll see. It fits bigger than you think it will and only works with some outfits. 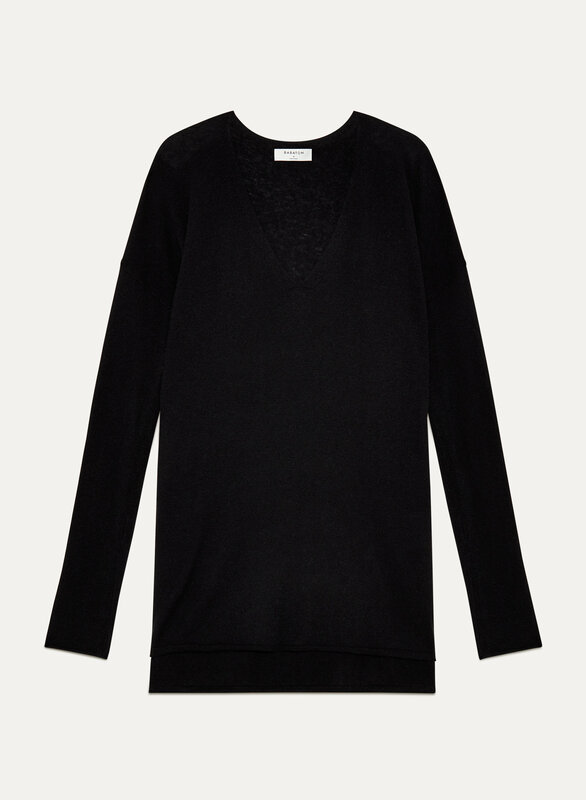 Very soft and cosy, it’s a nice thin sweater. I was expecting oversized but it was really oversized!! This sweater was exactly what I was expecting—the picture does it justice. Fitted in the arms, flowy through the body, but a little shapeless around the midsection. I was so glad it was as long as shown; I can easily wear with leggings. Top us looser fitting with lighter material then expected. Can be layered easily with top underneath. I'm 5'2, 118lbs, and 25 waist.